Hi everyone! Welcome to Sasami's Lair!! You have come to Sasami's Lair. I welcome all people who accidentally stumble upon my domain, or freely walk up the steps to this kingdom, The Kingom of Jurai. 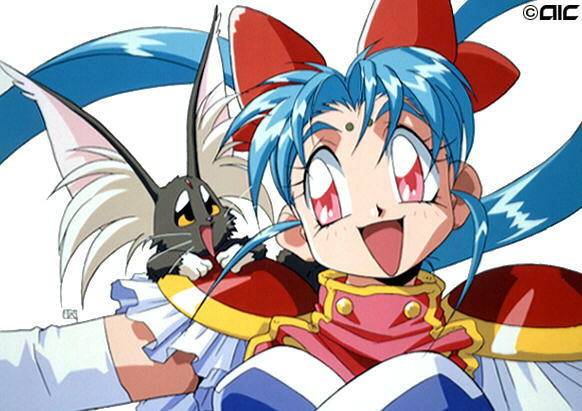 Yes, I am the blue haired little girl, Sasami, from the wonderful world of Tenchi Muyo. [The anime show] I hope you have a fun time, no, you MUST have a fun time here. Feel free to walk around, and meet new friends. 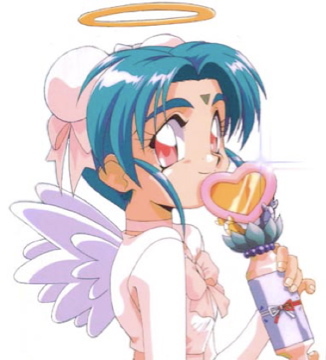 This site is mostly about Sasami Jurai, the girl from Tenchi Muyo! Use the links on the far left to find out everything you wanna know about the princess!^_^ Please feel free to explore this whole website! You're always welcome in my domain! Wow, this website is now over 8 years old. 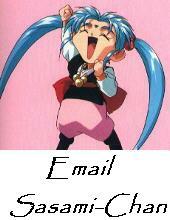 o.o;; Ha ha, but our love for all things Sasami still exists! Yes, well, I just wanted to let anyone who may visit this website know that the creator is still around. ^.~ Kisses!